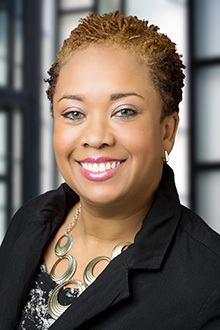 Kimberlei Evans is a partner in the San Francisco office of Lewis Brisbois and a member of the Healthcare Practice. She focuses her practice on the defense of hospitals, physicians, nurses, technicians, psychologists, skilled nursing facilities, and long-term care providers against medical malpractice and general litigation claims. Although officially a member of the Healthcare Practice, Kimberlei started her practice handling general liability matters and continues to handle general liability claims. Kimberlei has extensive experience defending hospitals, physicians, nurses, patient care technicians, psychologists, skilled nursing facilities and long-term care providers against medical malpractice and general litigation claims in both state and federal court. In addition to primarily handling a claim from the filing of the complaint through trial, she has successfully handled claims at the pre-litigation stage resulting in resolution of the claim prior to filing of suit. Kimberlei also has significant experience handling claims involving automobile accidents, premises liability, personal injury, wrongful death, breach of contract, negligent hiring/suspension/retention and products liability. Kimberlei has achieved success in resolving disputes through mediation, and informal settlement negotiations. She has developed a negotiation style that helps achieve the best results for her clients. She also has defensed a number of cases in arbitration. She has a passion for aggressively defending her client’s interests with excellent results. Kimberlei has experience in handling complex discovery matters and has extensive experience in motion practice. Kimberlei has first and second chair trial experience.